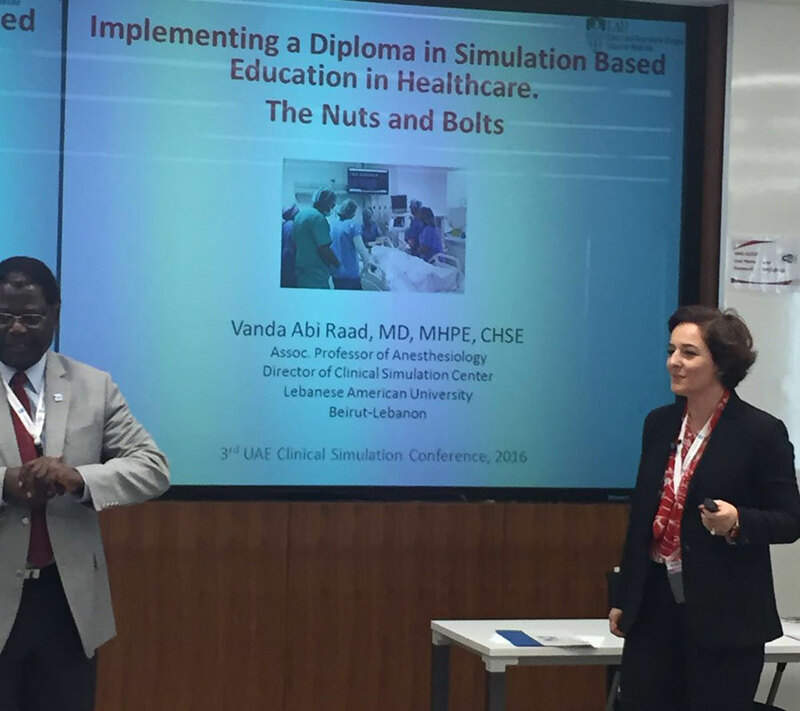 Two CSC members — director Vanda Abi Raad and coordinator Nelly Chammas — participated in the Third UAE Clinical Simulation Conference in Dubai February 24–26. On the curriculum development track, Dr. Abi Raad spoke about LAU’s experience in implementing a diploma for simulation-based education in healthcare. Chammas provided details about our standardized patients program, on the patient safety track. Dr. Vanda Abi Raad delivers her presentation about creating a diploma program. Ms. Nelly Chammas speaks about our standardized patients program. 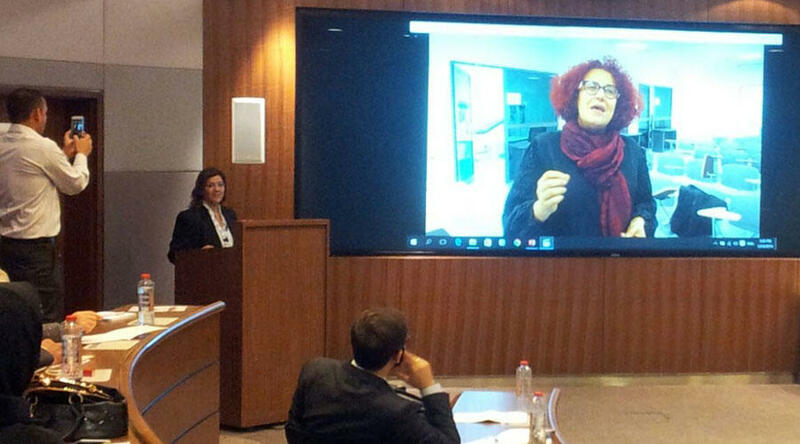 Appearing on the screen is associate professor of theater Lina Abyad. Last but not least, LAU’s four-minute video was the runner-up in the “Sim Snap Competition,” based on a Twitter poll of conference attendees.